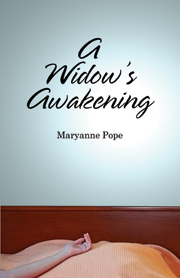 It gives me great pleasure to introduce Mary Francis as a regular contributor on Widowed.ca. Mary and I met while I was researching additional content for Widowed.ca. After looking at her website www.sisterhoodofwidows.com I knew we just had to connect. We connected by phone to learn more about each other and what we were each trying to accomplish. My focus; to support widows and widowers through this difficult transition. Her focus; also to support but by sharing her story and encouraging others to do the same. Check back regularly to read Mary’s Message. And don’t forget to add your comments to let us know if the information was helpful or even share your own experiences. “My husband died at the age of fifty-three and so I became a widow at the age of fifty. Twenty-seven years of marriage and now I’m single, but I don’t feel like I’m single. In fact I’m not married, not divorced and really not single—and so I’m a Widow. How odd that seems! I didn’t want to go to group meetings or see a counselor (it just wasn’t for me) so I turned to other widows to find my answers. We were different widows, just like we were different wives, and I found parts of myself in the experiences that the other widows had before me. It never occurred to me during the years I was putting my life together—family, business, home, and finances—that one day I would have to start all over. Suddenly, I have been given a wide array of new choices—in effect, a second life. I asked myself—Where do I start? I started by talking to other widows and hearing their journeys of grief and healing. Each story gave me some tip or advice that I was able to use in my personal life. In the end I knew that they could also help others that are grieving and so I put them into a book. This book is all about our journeys and how we did or didn’t handle our grief. In the end each journey is unique, but we can learn from each other. One thing led to another and before I knew it I was being asked to speak to organizations and small groups about how life changes when you lose someone you love. I find that my own journey has taken me to areas that I had never considered when I was married. I published a book, did a website, became a speaker/coach and have a monthly newsletter.